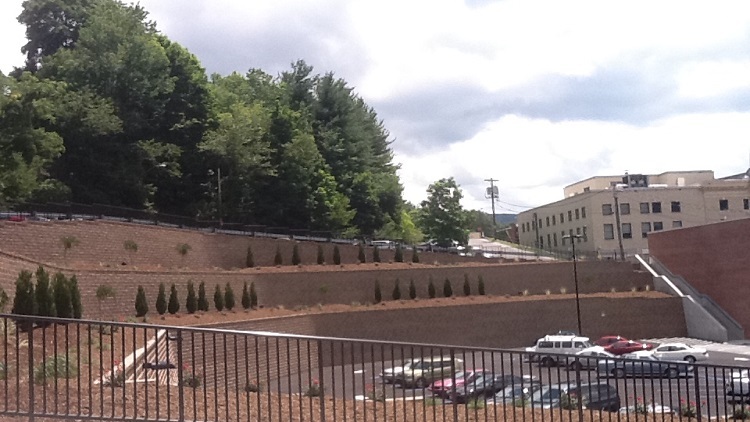 When the City of Bluefield decided to add a parking lot to their small city on the edge of the Blue Ridge Mountains, the project would require an over 40′ grade break. 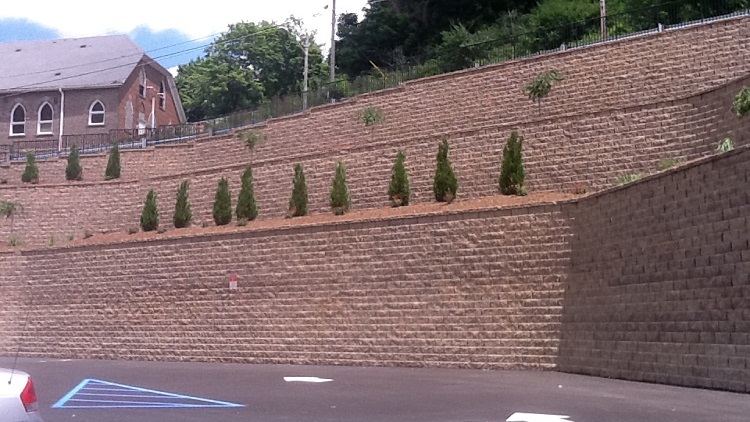 An existing cast-in-place wall remained during construction while the new three tiered Anchor Diamond Pro wall was constructed. The bottom two tiers were backfilled with recycled concrete to strengthen the structure. The project achieved the landscape aesthetics the City was looking for while achieving structural performances as well with a new road that was put in on the high side of the wall. General Contractor: Swope Construction Company, Inc.